During the AMM procurement process, Nivos Oy realised that the procurement of a remote reading system is actually an investment in low voltage network automation. Status and alarm information provided by smart meters are today an essential part of Nivos’s grid operations, and for a large part, issues can be solved in the field with help of mobile devices and automation. 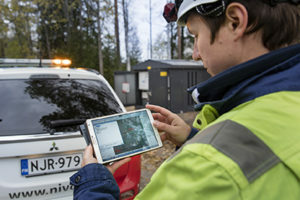 Nivos Oy is a utility which operates electricity, water and district heating networks as well as optical fibre connections in the area of Mäntsälä and nine surrounding municipalities in the southern part of Finland. 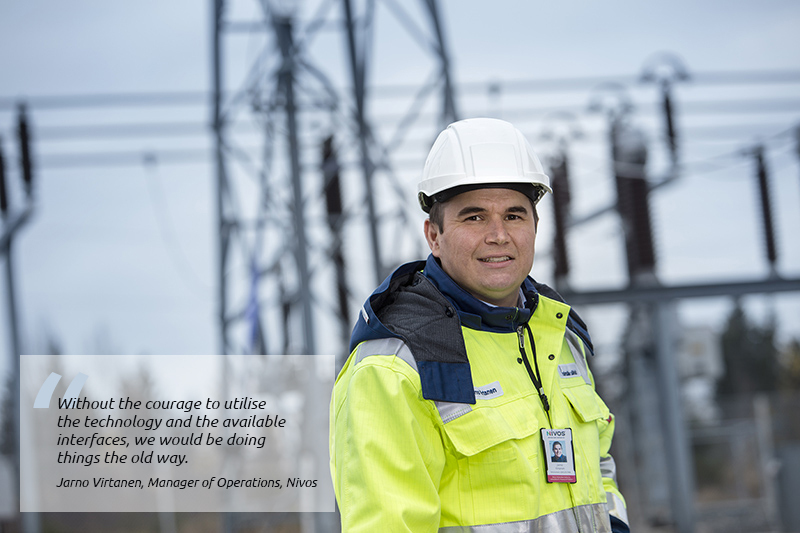 For electricity distribution Nivos Oy serves 14 000 customers. In recent years the company has significantly invested in network automation throughout its high, medium and low voltage grid which has a total length of 2500 km. For the low voltage network management Nivos Oy utilises the new AMM system which was implemented during 2011-2013. This enables a completely new way to get up-to-date information from the low voltage part of the network with help of Aidon’s PGM (Power Grid Management) functionality. One of the initial drivers for the AMM renewal at Nivos was the Finnish legislation which required automated remote reading to be implemented by the end of 2013. The aim of the tendering project was to find a solid, well performing and readily available metering solution. During the process, ideas emerged about the possibilities a modern AMM could offer beyond metering: how it could be used to support operations planning and network monitoring, for example. The thinking of AMM as a necessary cost item transformed to an investment that can deliver many immediate and long-term benefits, Planning manager Pasi Friman and Manager of Operations, Jarno Virtanen from Nivos explain. The chosen solution was one offered by TeliaSonera Finland, the nationwide mobile operator, and it consists of TeliaSonera’s meter reading system and Aidon’s energy service devices. The roll-out was completed in October 2013. The next step was then to focus on the add-on functionalities enabled by PGM low voltage monitoring features in the energy service devices. How did you know to come here? Two meters sent an alarm to our system. We noticed that electricity was partly missing in the area where the alarm was sent from, and sent our staff to the spot right-away. A faulty overhead line connector was found and fixed before the customer had noticed any interference. The customer was just wondering: “How could you come here with no visible defect?”. Thanks to our IT system we are able to react and repair faults before any harm is caused to our customers. Our aim is to foresee and prevent problems. The case above, from earlier this year, is a typical example of the proactive and preventive customer service of Nivos. When all their meters – energy service devices – got the PGM functionality activated in early 2015, they are able to detect deviations and faults in the low voltage network, and report about them as alarms. The faults can be physical and related to DSO’s property, similar to the before mentioned example, but it is as important to detect issues related to the customer’s installation or energy usage and sort them out with the customer. For example, the meter can be configured to detect if the customer’s load exceeds the contracted fuse size. If this occurs repeatedly or if the excess is significant, the customer should be contacted and advised to upgrade the electricity contract to correspond with the actual usage. Nivos Oy’s AMM system is integrated with Trimble’s NIS / DMS which shows all the metering alarms with their types and locations on the grid map. The repair staff receives the DMS alerts straight to their mobiles and can check details of the case wherever they happen to be when the alarm arrives, instead of having to rely on the information gained from the control room or customer service. The result: significant savings both in spent time and costs, thanks to faster trouble-shooting and fewer driven kilometres. And because information about deviations is received once a meter detects them, they can be fixed before any larger failure occurs. Thanks to this, unexpected, instant alerts during nights and weekends can be minimised or completely avoided, which again has resulted in fewer over-time working hours and lower related expenses. AMM data has also helped detecting faults on medium voltage lines in cases where the automatic disconnection stays on and no fault has been noticed. For example, a medium voltage powerline came down to the ground but did not cause a medium voltage grid alarm; however, based on the ‘voltage unbalance‘ alarms from the meters in the same transformer district, the fault could be detected and located to a specific area. After this the fault could be fixed before causing wider damage. The alarm and status information from the smart meters is today an essential part of Nivos Oy’s grid operations. Automation has changed the work processes: on a normal day, the control room is nowadays often unmanned, because many operational decisions are now made on the field. In case of wider incidents, field work is still managed from the control room. According to Jarno Virtanen, field installers have adopted the new solutions smoothly and with a positive attitude. They are also happy about the fact that less time is wasted for “driving around and guessing”. – Without the courage to utilise the technology and the available interfaces, we would be doing things the old way. You need daring and speed to make decisions, Jarno Virtanen says.